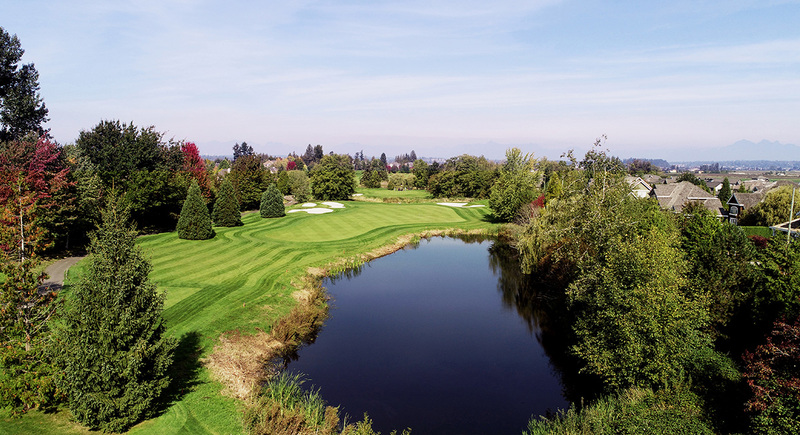 Golf Course in Surrey, BC | Public Golf Course near Langley, New Westminster, Delta, Vancouver, White Rock, B.C. A winning combination of fresh local ingredients, refreshing drinks and friendly service awaits you at Morgans Restaurant and Wine Bar in South Surrey. Voted the winner of Open Table’s Diner’s Choice competition for the 5th year in a row, we offer a well-rounded menu, including seasonal specialties and traditional favourites – all at excellent value. An extensive wine selection caters to a range of palates. Whether you’re just kicking back on our amazing patio after some friendly competition on the fairway, or enjoying a meal in our dining room with your loved ones, savor vintages that tickles the taste buds. On your wedding day, your focus should be on celebrating with the love of your life. That’s why our focus is on all of the little details, so your big day is seamless and stress-free.